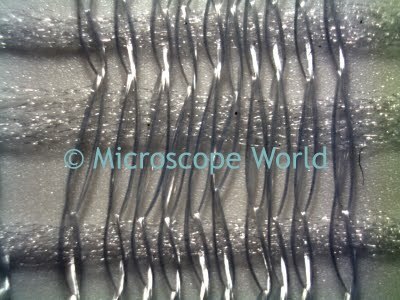 Microscope World currently has a customer that manufactures duct tape. Duct tape has cloth fibers woven in it to make it strong. Part of the quality control involves analyzing and measuring some of these fibers. 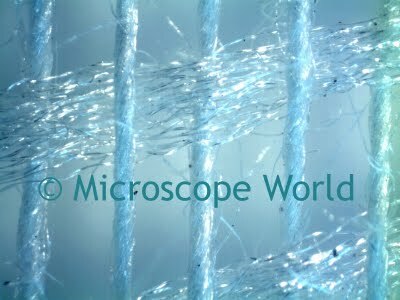 This image was captured at 20x magnification. 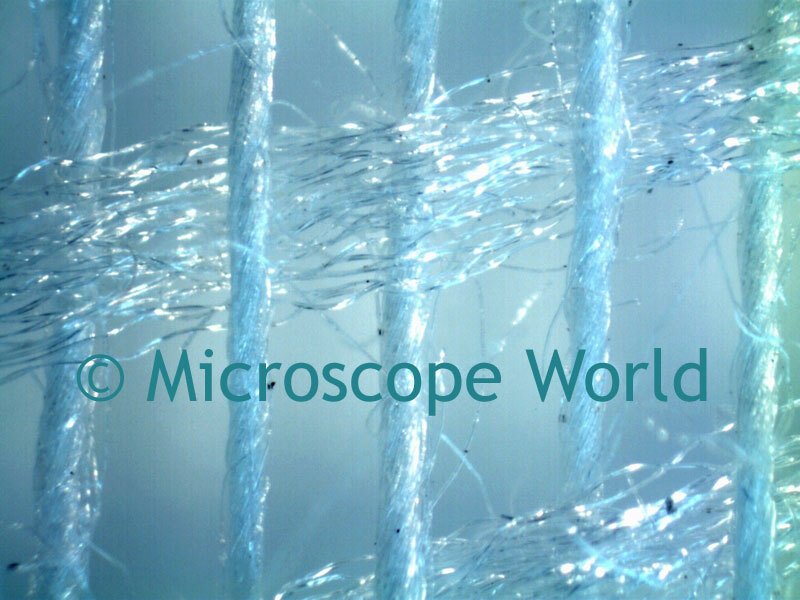 All images were captured using the DC5-420T digital stereo microscope. 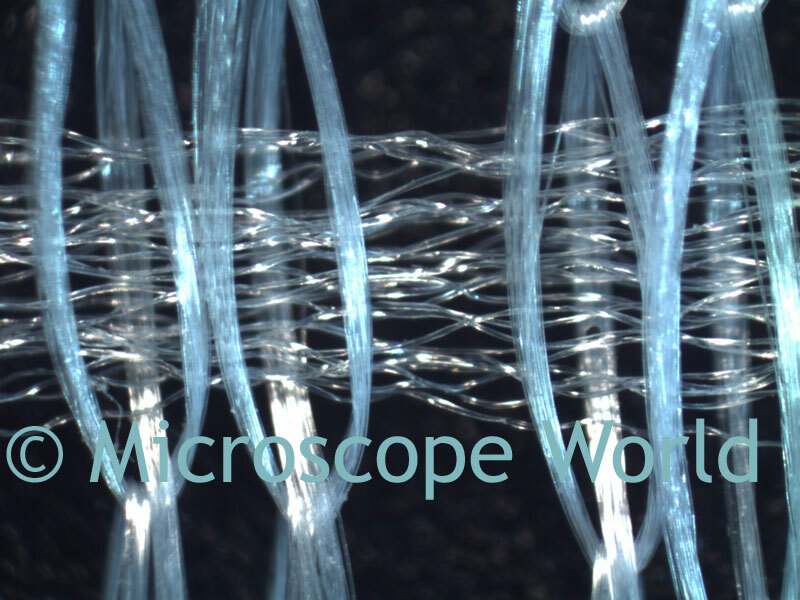 40x magnification was obtained using the 1.5x auxiliary lens on the stereo microscope. 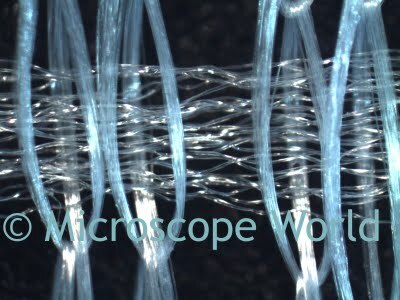 The images with a black background vs. white background were simply obtained by flipping over the included black and white stage plate that comes with the microscope. 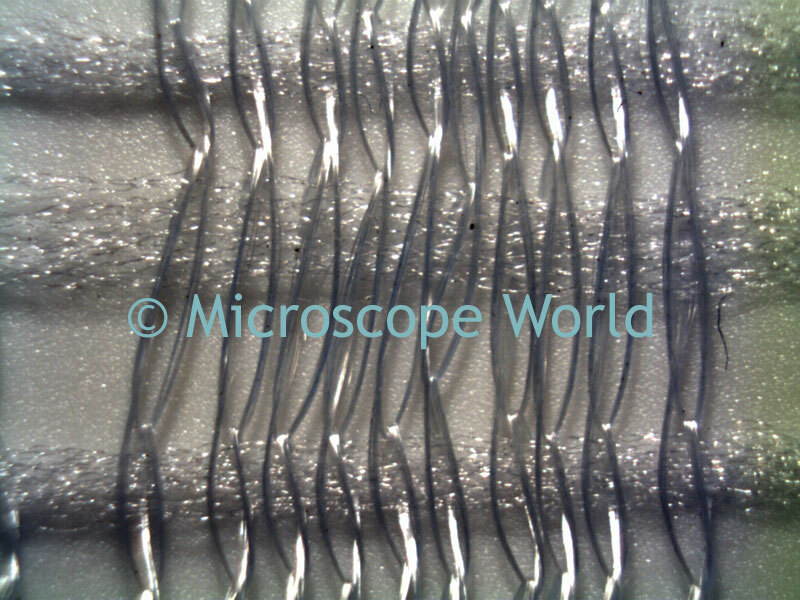 An eyepiece reticle was placed in the microscope eyepiece to make some basic measurements while looking through the microscope. 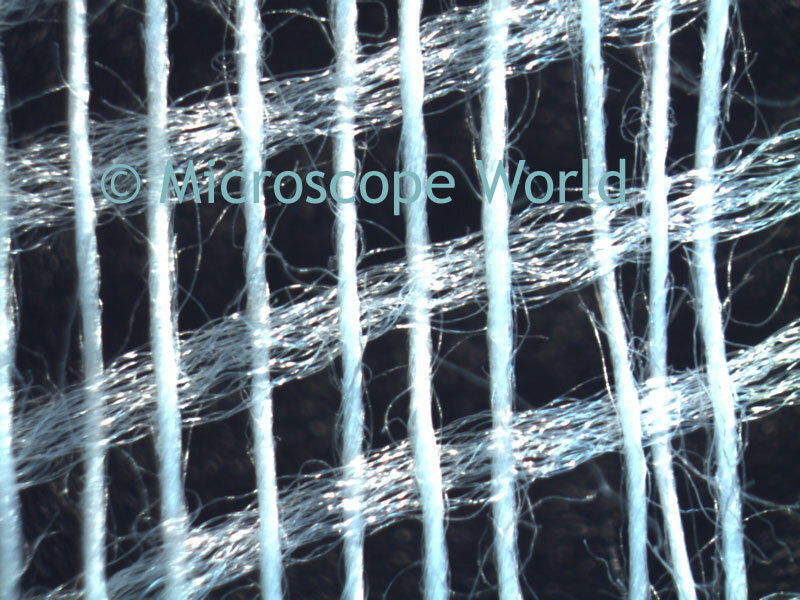 If the fibers fell beneath a specific parameter a more detailed measurement was made using the software included with the digital microscope. This image was then saved with the measurement imposed on the image.